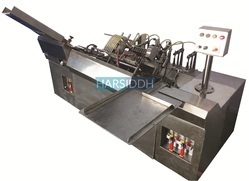 We are a leading Manufacturer of injectable ampoule filling machine from Ahmedabad, India. We are offering Injectable Ampoule Filling Machine. These machines are widely accepted in the market for their sturdy design and highly efficient performance owing to their production being done as per latest industrial norms. Apart from this, we have with us wide specifications of these machines for supply to customers as per their requirements.